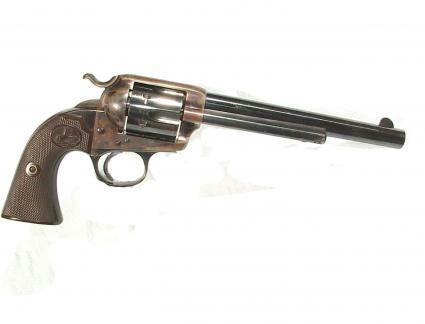 .455 caliber, 7 1/2″ barrel, finished blue with Colt deluxe walnut grips. 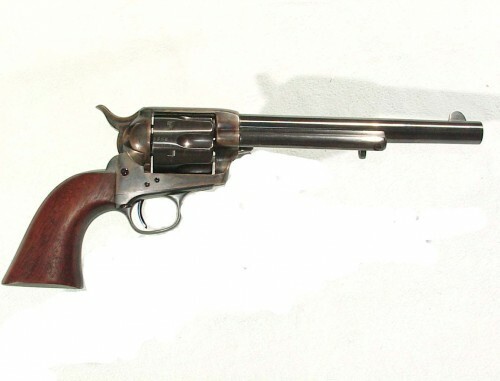 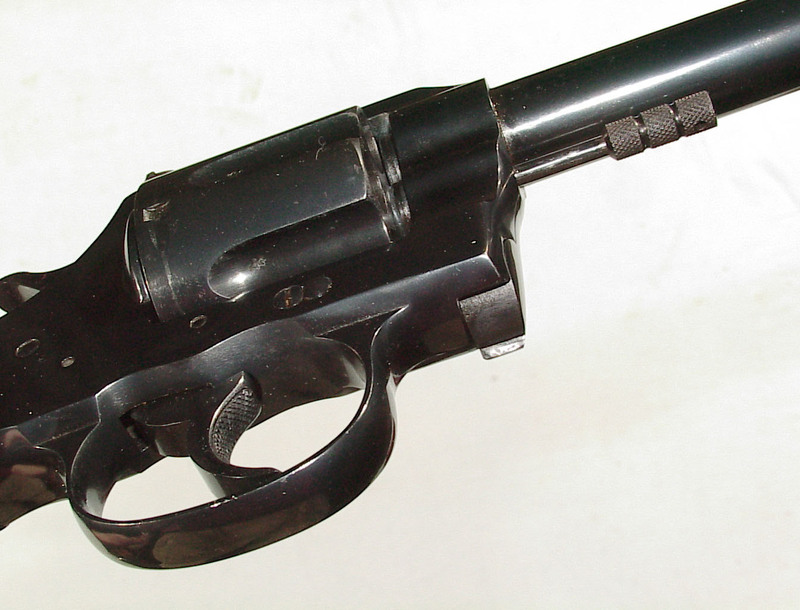 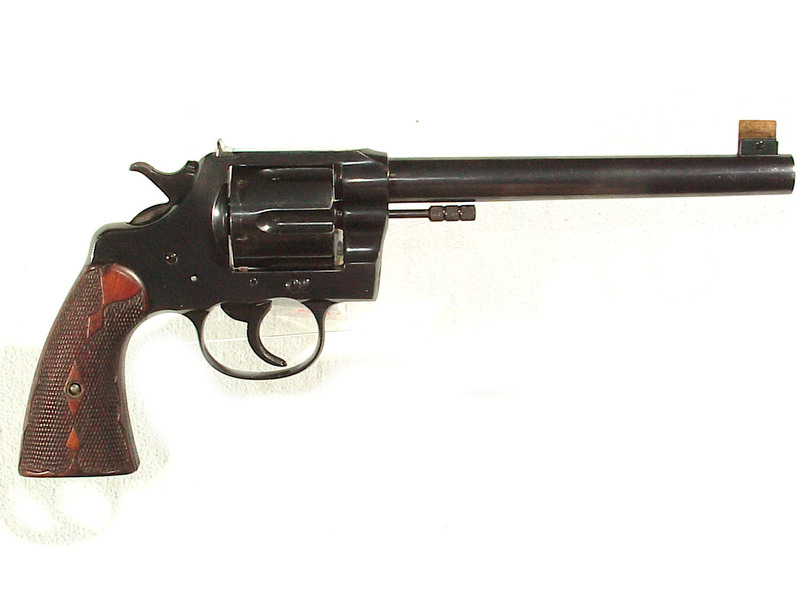 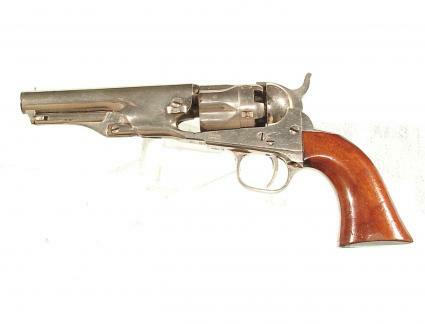 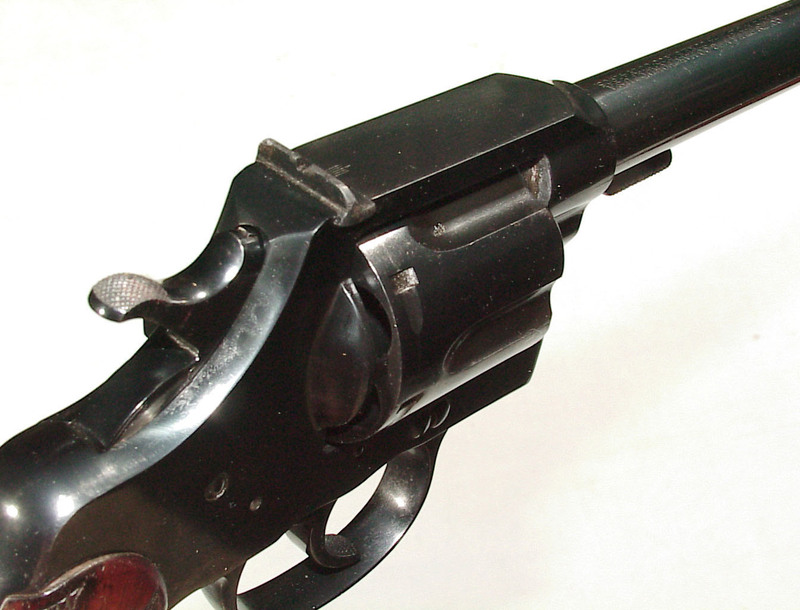 Serial number 22817 and was the winner of the 1st prize in the “COLT REVOLVER COMPETITION” at N.R.A. 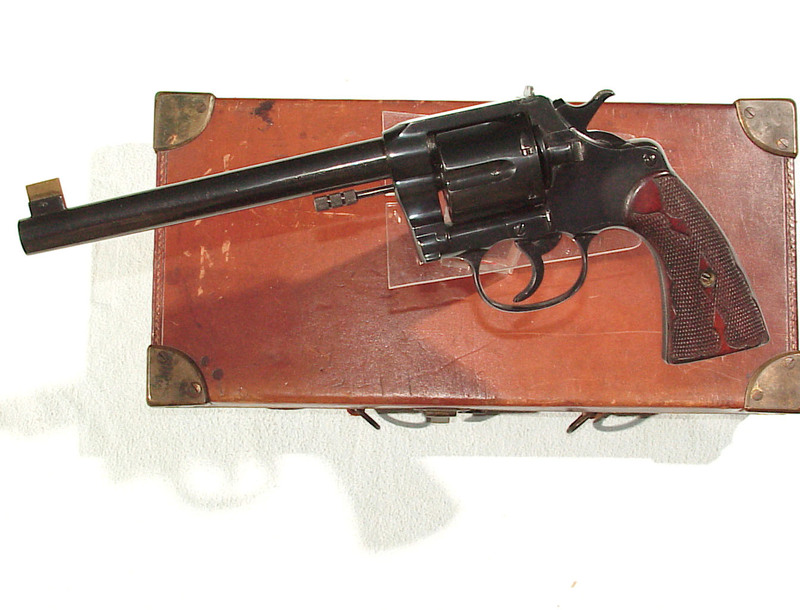 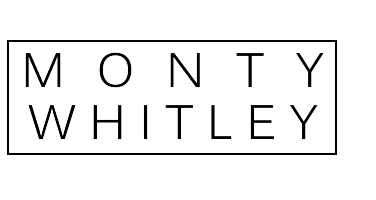 Bisley meeting of 1910. 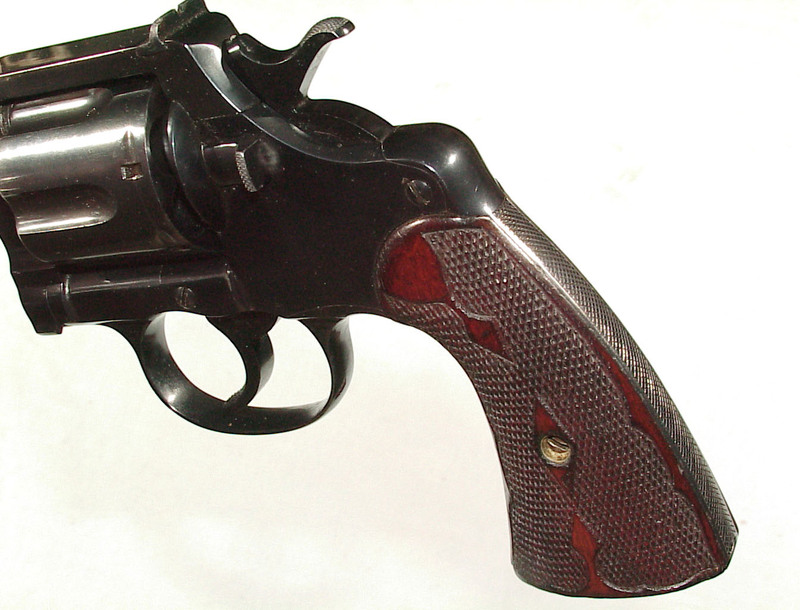 Retaining all of the blue finish, beautiful grips and mint bore. 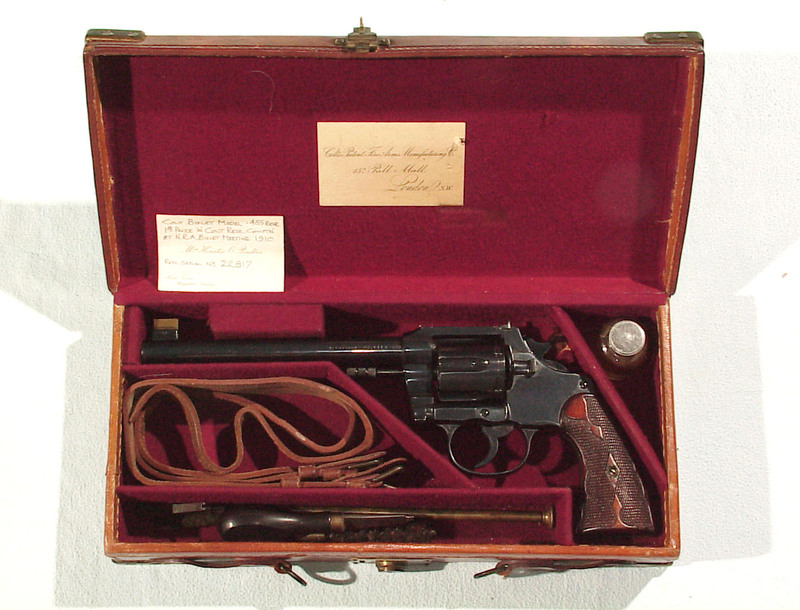 In it’s original Colt Agency leather case with label.